Update Your Employment Law Posters! 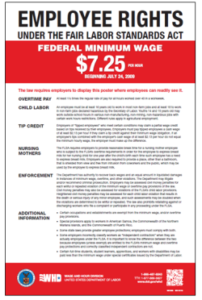 The Department of Labor (DOL) recently updated two posters that employers are required to display. 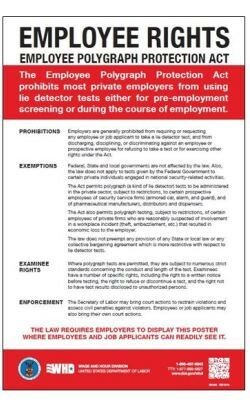 If you have not yet done so, please make sure to print the following posters and display them prominently in an area where they are visible to both employees and applicants. Fair Labor Standards Act Poster (FLSA). 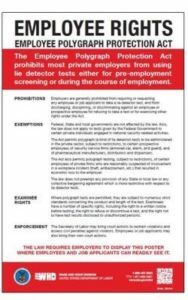 Employee Polygraph Protection Act Poster.